Sunderland are hopeful of completing the £9million signing of Wahbi Khazri over the weekend after making a big money move for the Bordeaux attacking midfielder. Sam Allardyce admitted yesterday that a forward was his priority for the remainder of the January transfer window after the Black Cats have been looking at attack-minded options for several weeks. And with Sunderland's pursuit of Swansea's Andre Ayew reaching a dead end, the Black Cats have wasted no time in making a move for an alternative, with Khazi on the verge of a move to the Stadium of Light. Bordeaux have confirmed that they have accepted a £9m offer from Sunderland and Khazri is now in the UK to finalise a four-and-a-half year deal with the Black Cats after flying from France this morning. 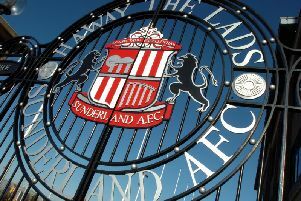 A statement from the French club said: "The club have reached an agreement with Sunderland AFC for the transfer of Wahbi Khazri. "The attacking midfielder has a beautiful opportunity with the English club. "He is therefore authorised to head to England to negotiate with the Premier League club." Sunderland are aiming to complete a deal for the Tunisian international over the weekend. Khazri - who has been tracked by Aston Villa and Celta Vigo - has netted 14 goals in 48 appearances for Bordeaux since joining the French top flight side from Bastia 18 months ago. The 24-year-old has been the stand-out figure for Bordeaux this season, along with midfielder Henri Saivet, who joined Newcastle in a £5m deal a fortnight ago.